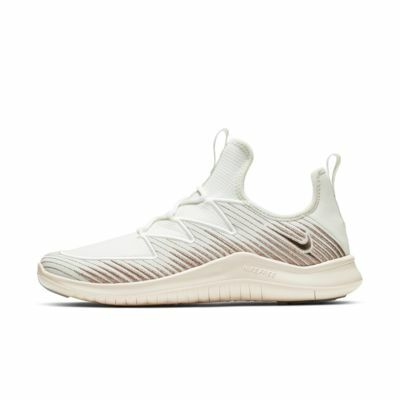 Bringing lightweight flexibility to your studio or gym workout, the Nike Free TR 9 Metallic delivers support for quick, multi-directional movements. Zonal embroidery is both visually striking and structural, while a zig-zag stitch and rounded toe box let your foot flex naturally. Upper with embroidered stripes for structure and stability. Full bootie construction lets you slip the shoe on and off easily. Rounded toe box allows the foot to expand and move naturally. Closed-hole knit on the tongue for a sleek look that breathes. Zig-zag stitch outlines the tongue, creating a supportive cage around the midfoot that still lets the shoe stretch with your foot. Midsole features rigid foam around the perimeter and a softer foam underfoot for a smooth, cushioned transition. Have your say. 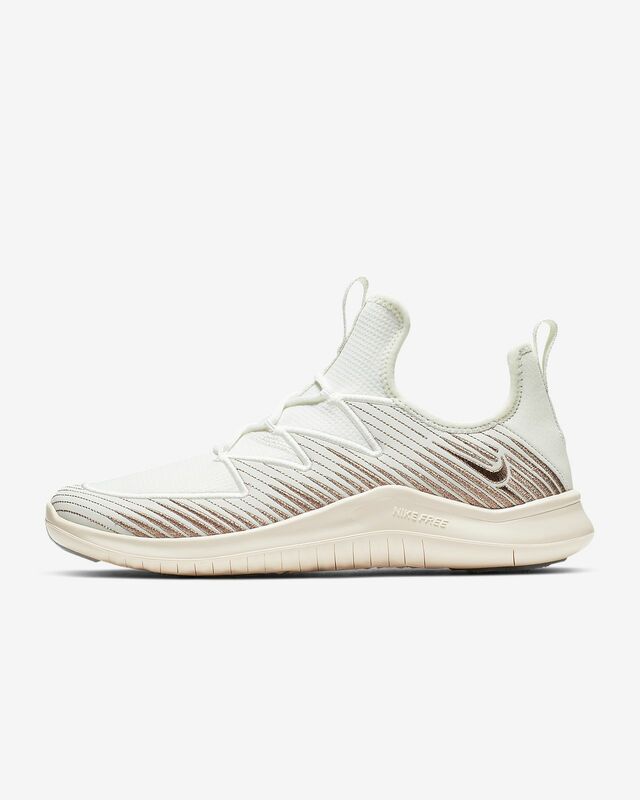 Be the first to review the Nike Free TR 9 Metallic.